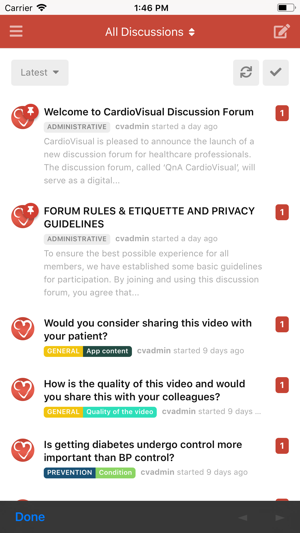 CardioVisual was awarded “2018 Best App for Heart Disease”by Healthline Media. Clinicians & patients in more than 130 countries across the globe rely on our trustworthy, unbiased, and reliable content. 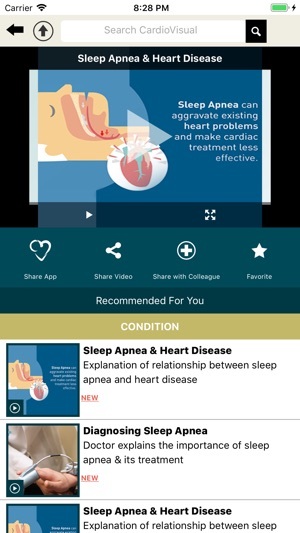 Created by cardiologists, CardioVisual is a multimedia interactive educational heart health app. 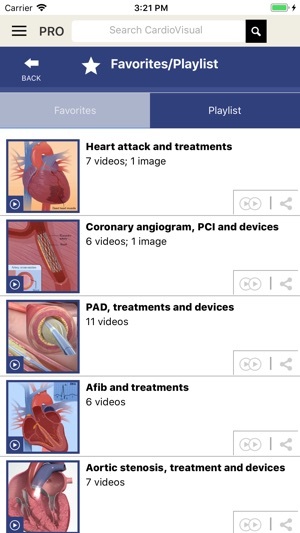 Its comprehensive library of curated, shareable informational videos & interactive graphics provides efficient, clear information and explanations of all aspects of heart health including risk factors, prevention, conditions and treatments of cardiovascular diseases. 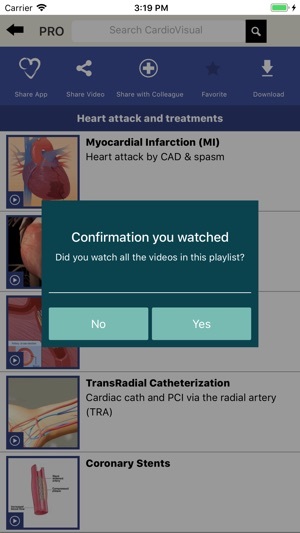 CardioVisual provides two apps in one: The first, for clinicians as an educational resource and easily share videos with patients instead of paper brochures or pamphlets; the second, a simpler version for patients to review at home for detailed study. 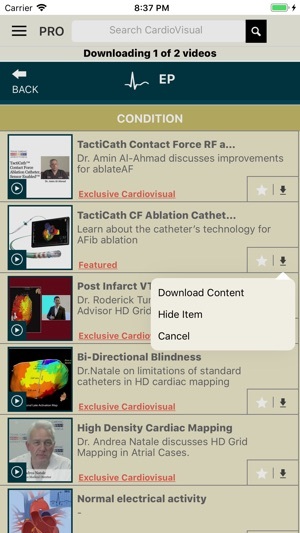 CardioVisual is regularly updated with videos of experts discussing new treatments and procedures that allow clinician users to learn, share and discuss with peers and colleagues. 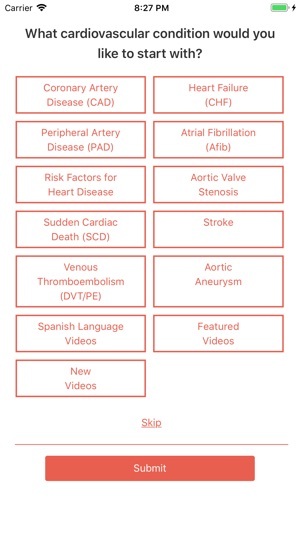 ◦ New procedure & device videos are regularly updated on the app. Access to all content via video streaming, orientation playlist, recommended videos, image markup & sharing of videos and images. All the features of Basic, plus: download all videos for instant offline viewing; Autoplay and share customized playlists of videos and access to exclusive content. If you have purchased from iTunes, payment will be charged to your iTunes Account at confirmation of purchase. Account will be charged for renewal within 24-hours prior to the end of the current period, and identify the cost of the renewal. Subscriptions may be managed by the user and auto-renewal may be turned off by going to the user’s iTunes account after purchase. -- Fixed: Shared Link to Videos now playback video immediately on app open. -- Fixed: Now you can share images from the Draw-On section via email. -- Fixed: Speed up Onboarding Screens to the next window. It’s a complete video library of heart disease. 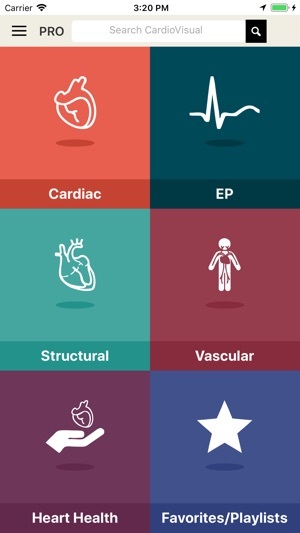 All the right information that we need as clinicians is in one place. Easy to use and no ads! Our patients love all the simple and useful information they can watch on their phone. The new expert videos allow me learn about the various devices. Please continue to add more videos and keep up the good work. 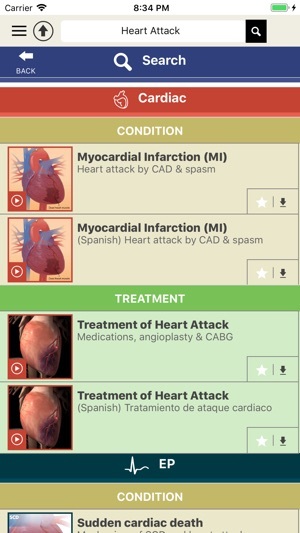 An app designed for the busy clinician ! Thanks so much for your kind words. 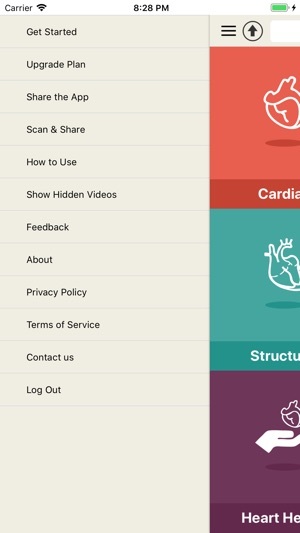 Please share the app with anyone wanting better understanding of heart disease, hypertension, atrial fibrillation or any other heart condition. One stop place to know all about cardiac health, informative, treatments and everything one needs to know about various cardiac problems. 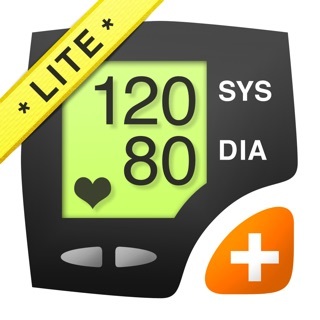 Excellent app, that can be a life saving app... with all the information provided . Highly recommend for everyone to have and get familiar with Nd to share with all their friends and Family. I’m having to rewrite this as the app would not recognize any password. My suggestion is to not require passwords since computers have searched seemingly every combination and locked them down. I tried for 20” with all sorts of variations including ancient words and every one was taken. Thus my conclusions don’t require passwords.